We should have enough confidence to be able to hit every golf shot successfully, however, be smart enough to know that we can't. Bill Scott, is a PGA Professional and Director of Instruction for the Don Law Golf Academy at Osprey Point Golf Course. He is an instructor to golf professionals, top amateurs, top junior golfers as well as beginners. For over 20 years he has organized and directed golf camps, and instructional clinics. 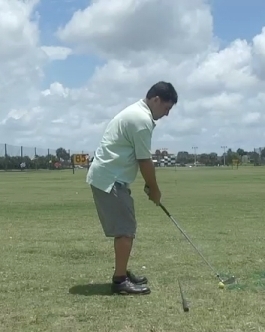 30 Minute Session: For the golfer looking for a quick tune-up on a given part of the game. 60 Minute Session: For the golfer looking for feedback on their game during a time frame that allows for video analysis and supervised coaching/drill sessions that reinforce what they need to practice. 120 Minute Session: For the golfer who wants to focus on both their full swing and short game shotmaking. We can work on multiple aspects of your game without feeling rushed in the learning process, and have plenty of time to hit shots with the best feedback tools for your game. 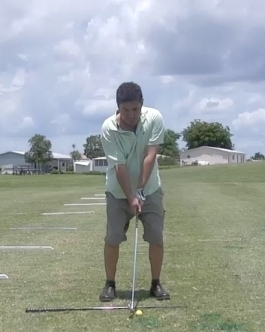 Playing Lessons: Working on the course is a great way to get feedback on your game. During a playing lesson, you will receive feedback on your course mangagement, swing techniques and learn recovery shots that will help you to lower your scores. I recommend that you schedule a minimum of a 1 or 2-Hour Session for a playing lesson. This will give us ample time to play several holes and work on whatever aspects of your game that are in need of attention. Can't travel to me on short notice and need a coaching session, you can still get help with your game. Simply send me a video of your swing from the below angles. Be sure to include any questions you may have about your swing and any issues you are currently having with your swing. I will analyze your swing and send you feedback on your video and answers to your questions. Along with that, I will recommend and demonstrate practice drills that will help you improve your game. For more information please contact Bill at Scott On Golf. Ten (10) 1/2 hour lessons for $550. Junior Plan--Ten (10) ½ hour lessons for $500. All package pricing must be paid in advance. You may use package pricing to create playing lessons, and longer time-length sessions. I have a 24-hour cancellation policy. Any lesson cancelled within this time period will be billed the full lesson rate of the scheduled time allotment. I hope you understand this policy. Please do not hesitate to ask questions.